haha! 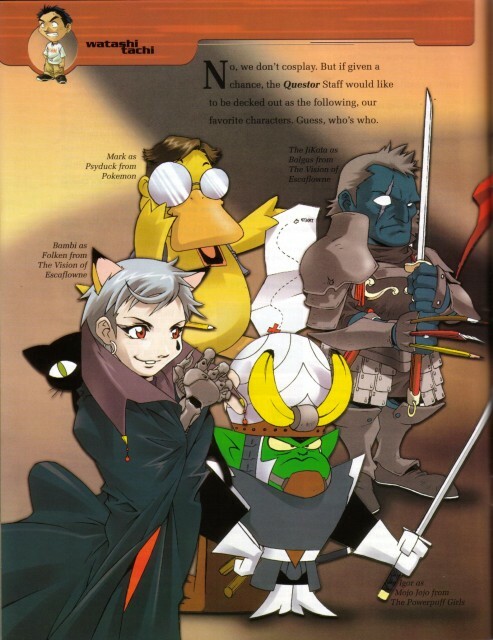 i scanned this from an issue of questor wherein the staff are drawn with the characteristics of their fav characters from different anime..
they are chibis and i just love it! its a cute scan!